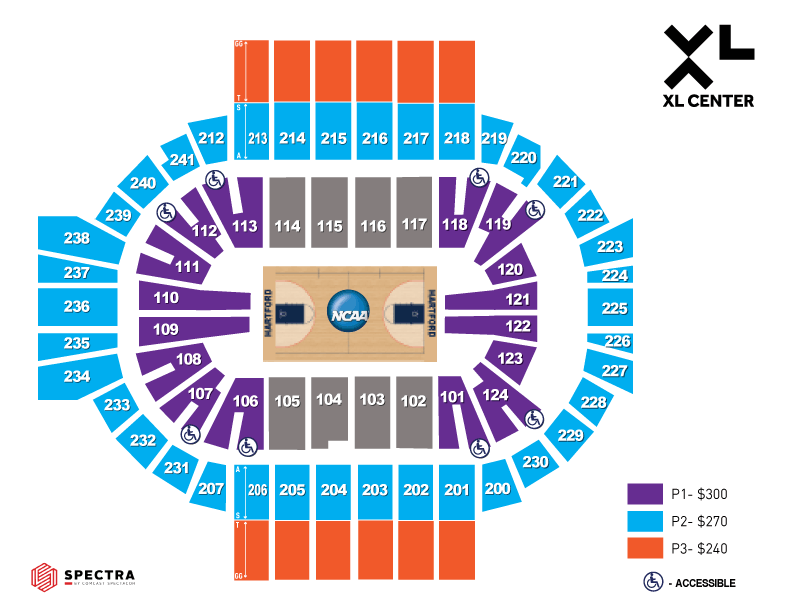 The Road to the Final Four® stops in Hartford, Connecticut March 21 & 23 when the First and Second Rounds of the 2019 NCAA® March Madness® Tournament comes to the XL Center! Premium Seating is on sale now! Entertain your clients or cheer on your favorite team in style in the Comcast Coliseum Club and Executive Suites at the XL Center! To reserve your spot, contact 860-722-9637 or [email protected] For more info - click here!